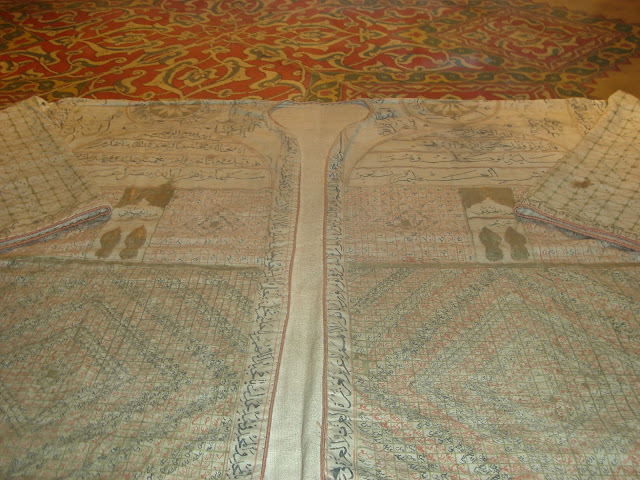 Hazrat Daataa Ganj Bakhsh Hujweeri (Rahmatul Laahi ‘Alaieh) was both a Hasani and Husaieni Saiyyid. was both a Hasani and Husaieni Saiyyid. 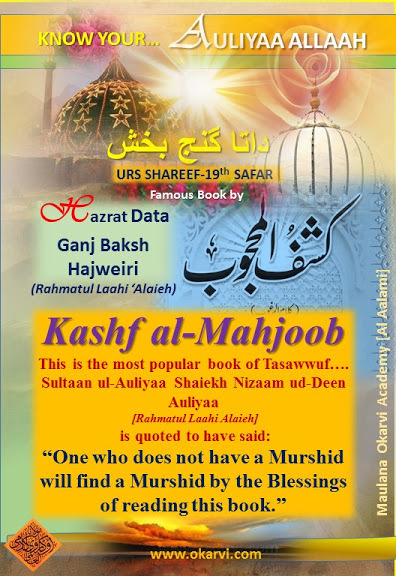 He is the renowned Soofie Shaiekh of 5th century Hijri and is well known with his title Daataa Ganj Bakhsh the Bestow-er of Treasures. 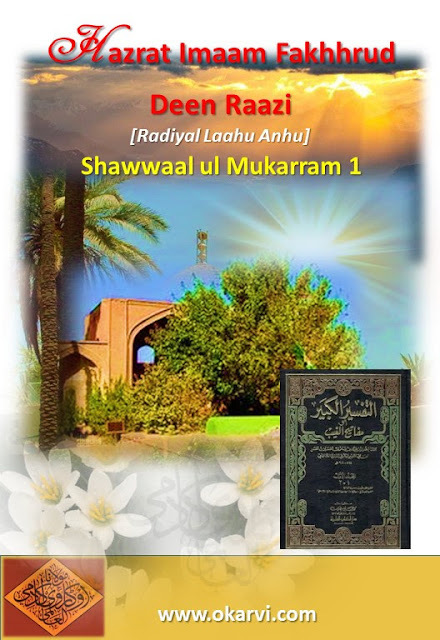 He was originally from Hujweer, a town in Ghazni (now Afghanistan), and later migrated to Lahore for the propagation of Islaam following the instructions of his Spiritual Master. 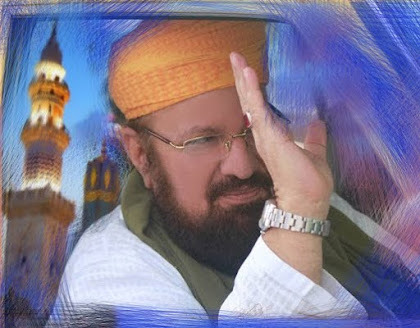 He is known as the Imaam of Imaams and the paradigm of the Sunnites. He was firmly grounded in works of mortification and devotion, and was a great authority on the principles of Tasawwuf. 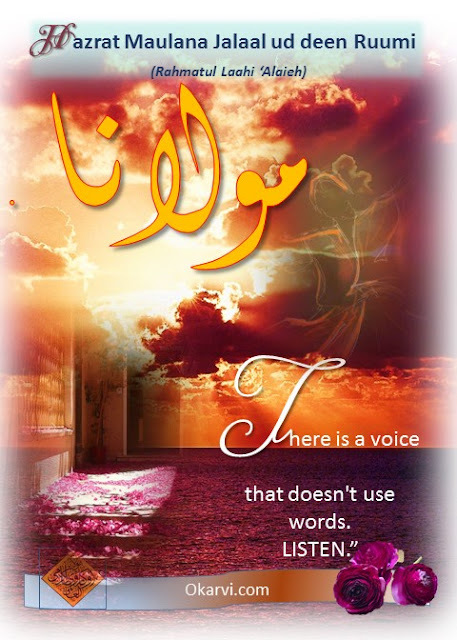 For more Islamic Information and Clips visit here. We request you to subscribe and share this channel on your social media sites if you are true followers, it will be Sadaqaa e Jaaria for all of us. Your comments and suggestions will be greatly appreciative. 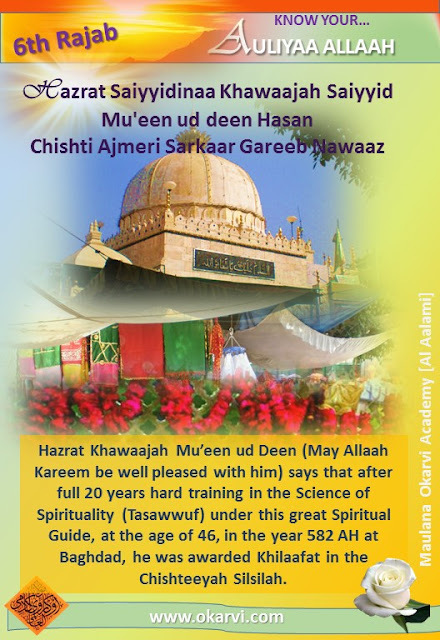 Hazrat Khawaajah Mu’een ud Deen (May Allaah Kareem be well pleased with him) says that after full 20 years hard training in the Science of Spirituality (Tasawwuf) under this great Spiritual Guide, at the age of 46, in the year 582 AH at Baghdad, he was awarded Khilaafat in the Chishtia Silsilaah. At this stage he could see everything from the Abyss of the Earth (tahtus sudra) and up to The Glorious Veil (al-Hijaab e Azmat). If this is the status of the Friend Of Allaah Kareem (Walee ul Laah) then what must have been the status of the Prophet’s Companions (Sahaaba’s), the Prophets of Allaah Kareem and the Leader of all Prophets, the Holy Prophet (Peace be upon him, his family and his companions)? ‘According to us the Perfect Spiritual Guide (Kaamil Walee) is he who witnesses the whole earth as one sees ones fingernails.’ This is the status of Auliyaa Allaah Kareem. 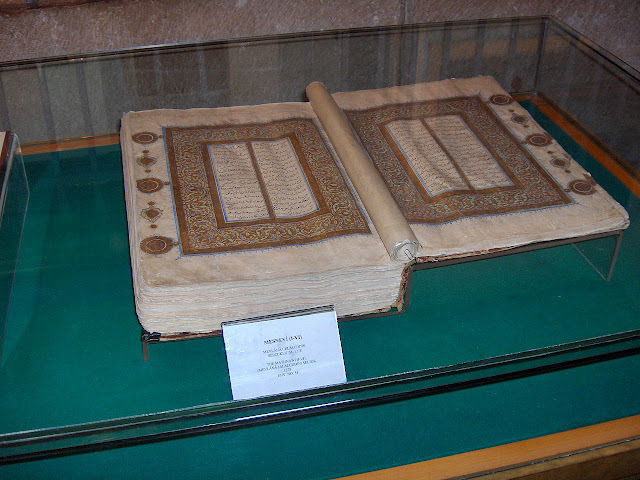 Should I not tell you about the Companions (sahaabah)? Once the Holy Prophet (Peace be upon him, his family and his companions) summoned Hazrat Zayed ibn Haaris (may Allaah Kareem be well pleased with him) and enquired about his spiritual state. 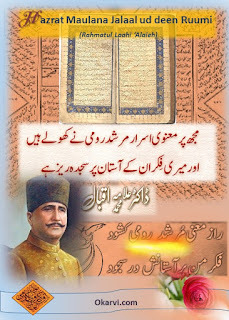 If this is the state of the slaves of the Holy Prophet, then what must his status be? Therefore my friends and elders, everything is revealed to the Auliyaa Allaah but they do not reveal it, obeying Allaah Kareem’s command to conceal it. So Khawaajah Saahib strove for three years and he said that he could see everything up to The Glorious Veil (al-Hijaab e Azmat). After being granted Khilaafat in the Chishtia Silsilaah he was ordered by Khawaajah Usmaan Harooni (May Allaah Kareem be well pleased with him) to proceed to Madeenah, the Illuminated. Khawaajah Saahib says he then left and performed Hajj. After Hajj, he went to Madeenah, the Illuminated. In those days there was no problem of passports and visas so he spent six months at the blessed Burial Chamber of the Holy Prophet (Peace be upon him, his family and his companions). After six months the Holy Prophet addressed him and said, "O, Helper Of Our Religion (Mu’een ud Deen), Pivot Of Spiritual Guides (Qutb al-Mashaiekh), We put India under your charge where darkness prevails go and cleanse it of Polytheism (shirk) and Misbelief (kufr). Allaah Kareem’s Divine Help is with you and my Look of Blessing is upon you.’ the Holy Prophet (Peace be upon him, his family and his companions) bestowed the titles of Helper of the Religion (Mu’een ud Deen) and Pivot of Spiritual Guides (Qutb al-Mashaikh) to Khawaajah Saahib. Hazrat Khawaajah Saahib had acquired the external knowledge and now set out to acquire a Spiritual Guide. Near Neshapur was a village called Harwaan or Haroon. In this village resided a renowned Walee who was the Cardinal Pole (Qutb) of the time, Hazrat Khawaajah Usmaan Harooni (May Allaah Kareem be well pleased with him). One has to strive on this path. The Holy Prophet (Peace be upon him, his family and his companions), despite being the beloved of Allaah Kareem and the Cause of Creation still worshipped and strove. He stood so still at night for such long durations that the blood capillaries on his blessed foot used to burst. The Holy Prophet (Peace be upon him, his family and his companions) replied, ‘Should I not be a grateful servant of Allaah Kareem?’ So one has to strive on this Path of Return to Allaah Kareem. Without effort nothing is attained. Let me explain something for your understanding. Raw Gold cannot adorn a neck as jewelry unless and until it burns itself in a blazing fire. Gold loses its hard arrogance and becomes humbly soft in fire. Then it can be molded into jewelry. Still as jewelry it is not left alone. It is now rubbed and polished till it loses its outer skin, shines. Initially it was gold and it still is as a jewel but it had to burn in fire and lose its skin to increase its beauty, worth and value. First it was just gold but now it is worthy of adorning the neck of the beloved. The Auliyaa Allaah are full of worth but more shine is added after Mujahadah, Ibaadaat and Riyaazaat. Their worth is increased. The eye-make-up (surma) is a stone that becomes worthy of being put onto the eye after being grinded and made fine. It becomes a source of beautification and increase of sight for the eye. Thus without striving in the path of Allaah Kareem, ones value does not increase. A log if it is buried in the ground will decompose. The same log if it is burned and made into coal and then buried will retain its composure even after a thousand years. Thus those who burn themselves in the Fire of Divine Love (Ishq e Illaahie), even when they are buried, their bodies remain intact. Those who have not burned in the Fire Of Divine Love will not understand. Khawaajah Mu’een ud deen Hasan Chishti (May Allaah Kareem be well pleased with him) strove in the path of Allaah Kareem performing Riyaazaat for three years. Khawaajah Mu’een ud Deen Chishti himself records this.So he replied, “I can see the seven heavens and the seven earths and whatever is on them.” Khawaajah Usmaan Harooni (May Allaah Kareem be well pleased with him) said, “You are not ready yet.” and sent him back into the Hujraa.[Chamber]. Another year passed and he was asked as to what he could see and he replied, “I can see the abyss of the earth (tahtus sudraa) and up to the Divine Throne (Arsh). “When My servant loves Me and proceeds towards Me with the intensity of love by leading a righteous, godly, and pious life beyond what I have prescribed as obligatory, then he arrives at the stage where I come to love him. When I make him My beloved, I become his faculty of audition by which he hears, and his faculty of sight by which he sees, and the hands with which he holds, and the feet with which he walks and the tongue with which he speaks. And the mind with which he thinks"
In the light of this Hadees it is possible to partially understand this transformation in Khawaajah Saahib. He penetrated the thin line separating the material world from the unseen: the inner organs of perception opened and so did his universe expand. 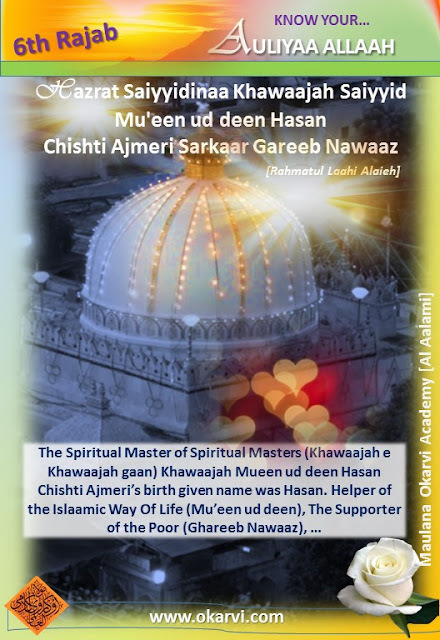 The Spiritual Master of Spiritual Masters (Khawaajah e Khawaajahgaan) Khawaajah Mueen ud deen Hasan Chishti Ajmeri’s birth given name was Hasan. Helper of the Islaamic Way Of Life (Mu’een ud deen), The Supporter of the Poor (Ghareeb Nawaaz), Spiritual Master of Spiritual Masters (Khawaajah e Khawaajahgaan) etc. are all his acquired titles. He was in direct lineage of the Holy Prophet Muhammad (Peace be upon him, his family and his companions). Through his father Hazrat Saiyyid Ghiyaas ud deen (may Allaah Kareem be well pleased with him), paternally descent from the Holy Prophet’s grandson, Hazrat Imaam Husaien (May Allaah Kareem be well pleased with him). 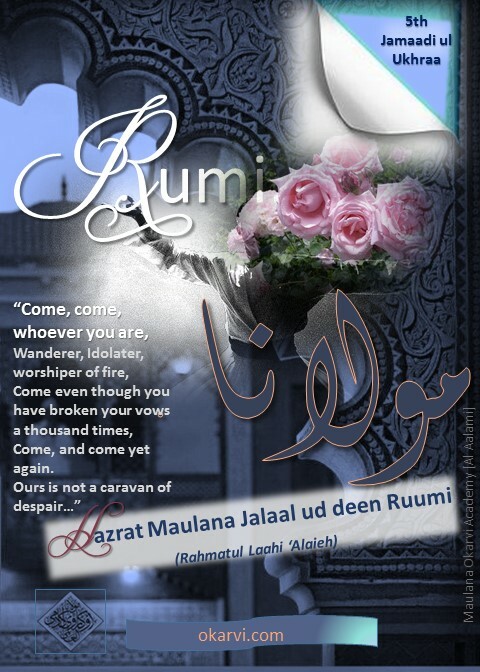 Through his mother, Hazrat Mah Noor Bibi, who was given the title, Umm ul-Waraa he was linked maternally to the Holy Prophet’s grandson, Hazrat Imaam Hasan (may Allaah Kareem be well pleased with him). 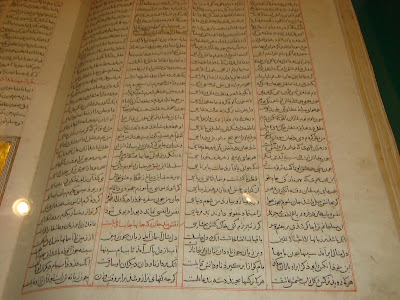 Thus he is a Hasani and a Husaieni Saiyyid. Hazrat Shaiekh Abdul Qaadir al-Jeelaani (may Allaah Kareem be well pleased with him) is also a Hasani and a Husaieni Saiyyid. 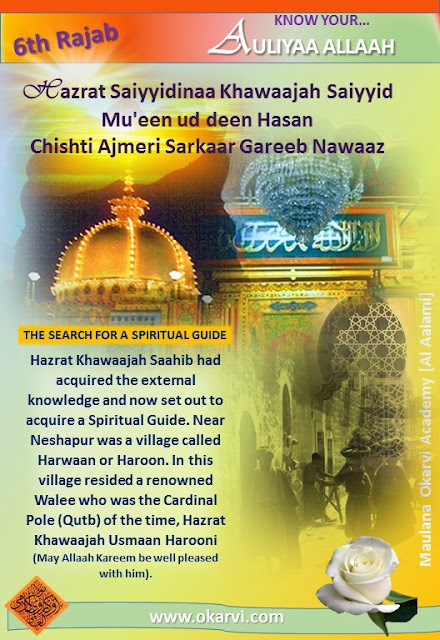 Hazrat Khawaajah was born in 536 A.H./1141 A.D. at a place called Sanjar, in Sijistaan (Persia or present day Iran). 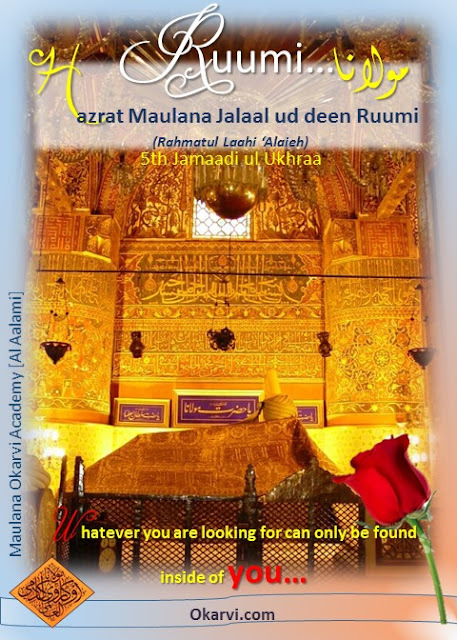 He passed into the realm of Divine Beauty on the 6 Rajab 633 AH/1233 AD at the age of 97.
and his mausoleum on the reverse of the 5000 Turkish lira banknotes of 1981–1994. 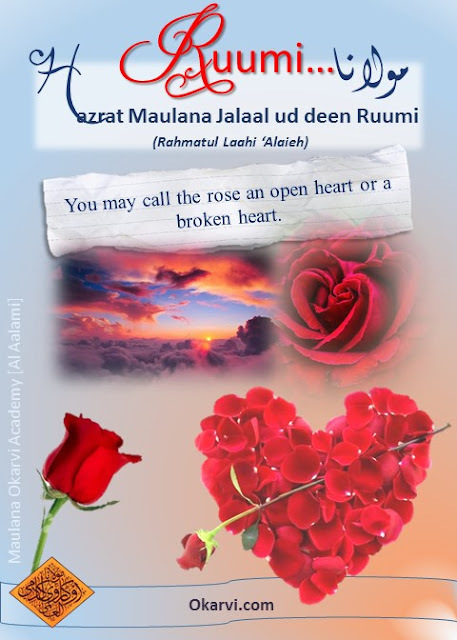 "You may call the rose an open heart or a broken heart". If Light is in your heart...you will find your way home. 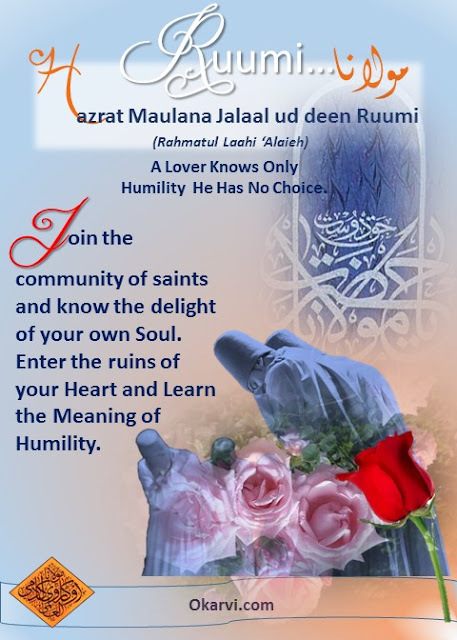 respectfully as Maulana ("our Master"), is a thirteenth-century Persian Soofie Saint Auliyaa Allaah, jurist, theologian, poet and one of the greatest spiritual masters of Islaam. He was known as Ruumi because he spent most of his life in the region known by Muslims as "Ruum," the Anatolian peninsula most of which had been conquered by the Seljuq Turks after centuries of rule by the Roman Empire. 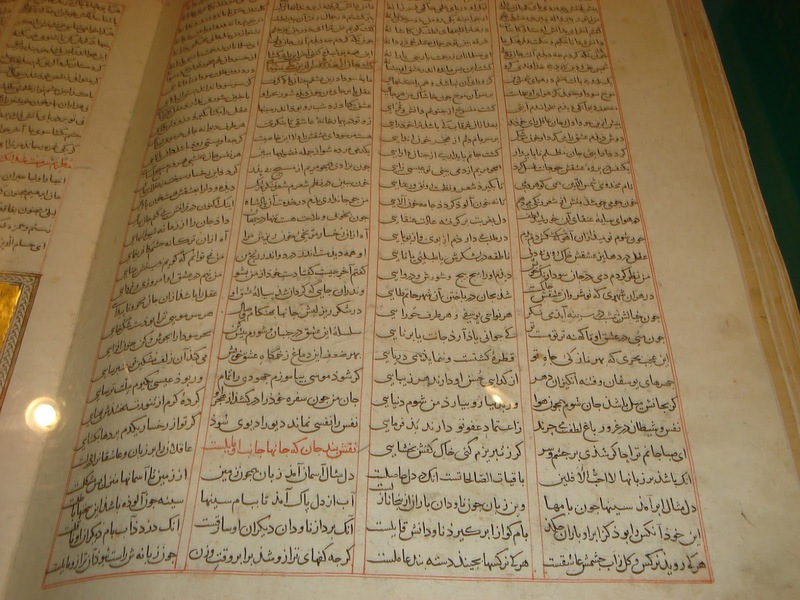 He is acknowledged as the father of one of Islaam’s major Soofie orders, the Mevlevi order although its actual inception came about through his disciples. 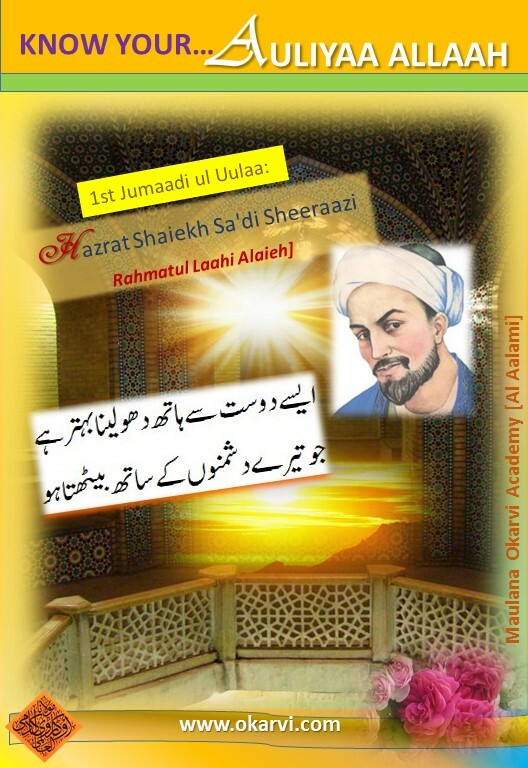 He was also often referred to by the Persian title, the ("great Master").....to be continued In Shaa Allaah. 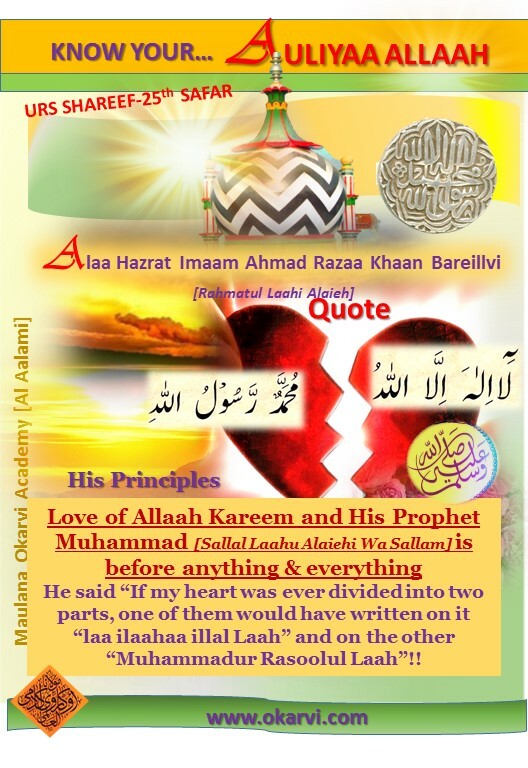 He said “If my heart was ever divided into two parts, one of them would have written on it “laa ilaahaa Illal Laah” and on the other “Muhammadur Rasoolul Laah”!! He did not tolerate blasphemy (disrespect) of the Noble Prophet Muhammad [Sallal Laahu Alaiehi Wa Sallam] or of the pious companions or Auliyaa Allaah and stood strongly against the corrupted groups of his time for this reason.